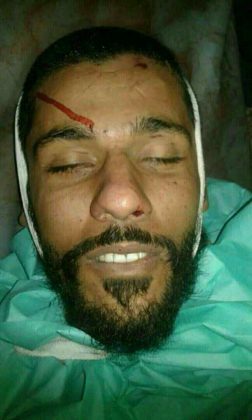 A high ranking jihadist commander was assassinated in northwestern Syria, today, after his struck a roadside bomb in the Idlib province. According to pro-opposition activists inside the Idlib Governorate, the military commander of Tanzim Hurras Al-Deen “Abu Zubeir” was killed on Wednesday when his vehicle struck a roadside bomb that was planted by unknown assailants near the Hama province. While no group has claimed responsibility for the attack, opposition activists have taken to social media to blame the Syrian Arab Army and Russian military for the assassination. Tanzim Hurras Al-Deen was one of the jihadist factions that rejected the Idlib agreement and called on other groups to attack the Syrian Arab Army and Russian military in northwest Syria. Tanzim Hurras Al-Deen is also one of the largest foreign jihadist groups that is currently operating in northwest Syria.